Open and Free to everyone! i3detroit’s two laser cutters are the most used large tools in all of our makerspace. The things you can make with computer controlled sheet stock cutting (wood, plastic, cardboard, cloth) is limited only by your imagination. As a member of i3detroit you can use our laser cutter 24/7, but we require that you complete two training classes prior to operating it. On Tuesday, December 26 @ 7-9PM we will be offering a training class on the laser cutter. Members Only. Space is limited to six slots. 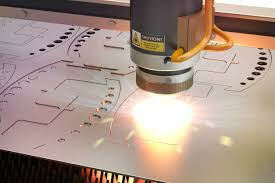 This training counts for one of the needed 2 training sessions for authorization to use the Laser Cutters. Registration closes 24 hours prior to class. Pre-registration is required for class. Registration closes 24 hours prior to class. To register, go to our listing in Eventbrite. December 26 training with Terry. 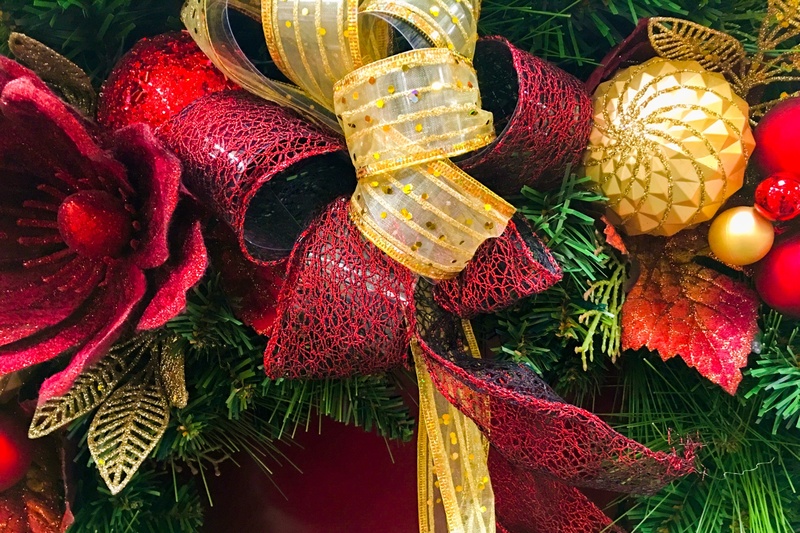 Local small business woman Sue Bussell teaches you how to create those big, gorgeous professional-looking bows, strategies for silk flowers, and the basic essentials of holiday floral decorations! Bring your own geens — a wreath or tabletop settings — and Sue will provide the rest. Tickets available for those who would like us to bring a wreath for you. 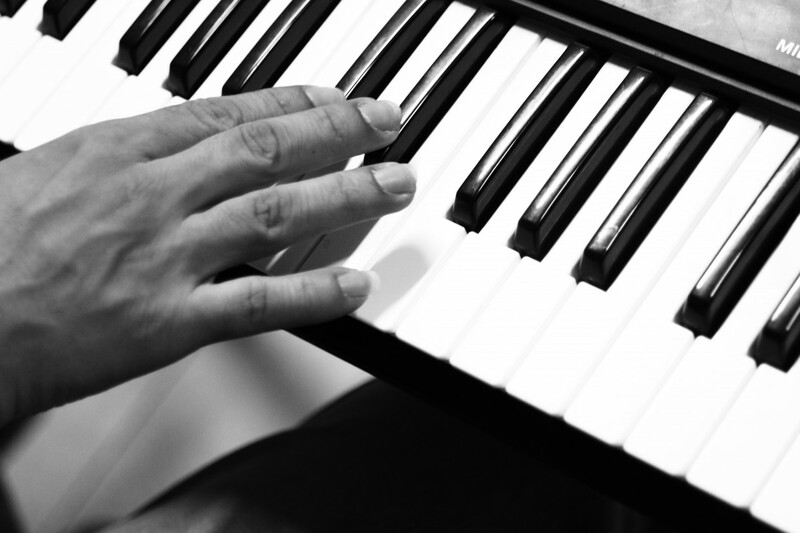 Have you ever wanted to sit down and play a tune on the piano for your family or friends? By the end of this class, you should be able to do just that. We’ll begin by using an open-source program called MuseScore. MuseScore helps teach you the notation needed to read music when you type in a song. There are also free apps available to help you out If you need to learn how to read notes. After you learn a bit doing a song or two with MuseScore, you should be ready to sit down at a keyboard to play a simple tune. This class is for those who don’t know much about how to play. If you feel you fit into this category, then this class is for you. A laptop is recommended. Installation of MuseScore from musescore.org can be done beforehand, and is recommended, but is not required. 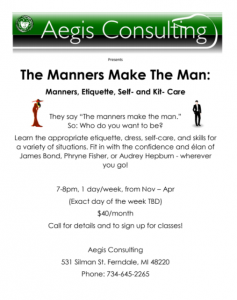 Aegis Consulting & Swordsmanship Academy brings i3Detroit a weekly survey of the methods of poise and comportment necessary to present yourself in your own best image. 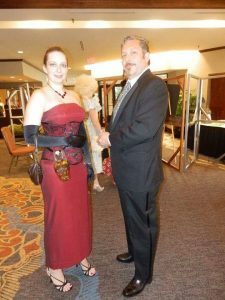 From care of your possessions to dancing and designing a really nice meal, this class will give you the tools and skills to create whatever you you want to be! Syllabus to be announced soon, this is a multi-month course. Class is appropriate for ages 12 and up. 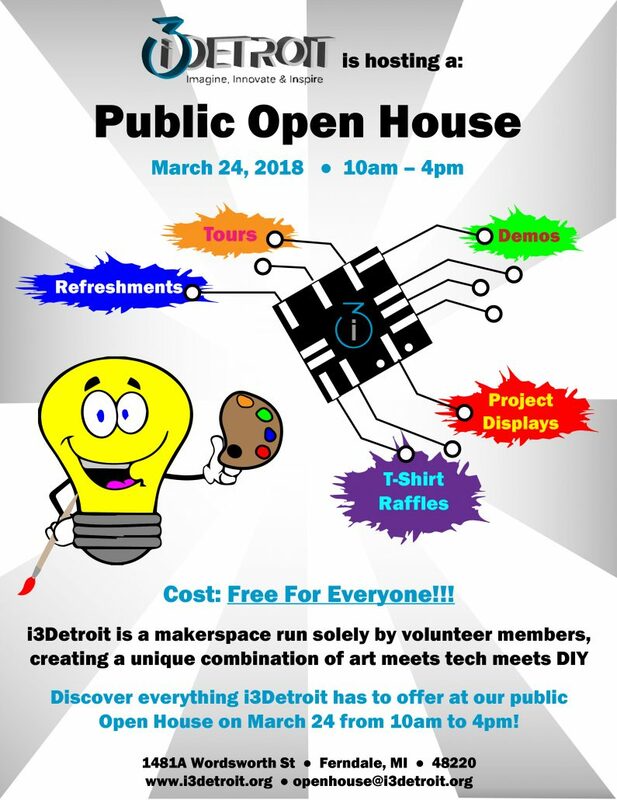 Members of i3Detroit and the community are warmly welcome.